I started by creating a stick chair, but there was a huge amount of timber leftover with each piece. 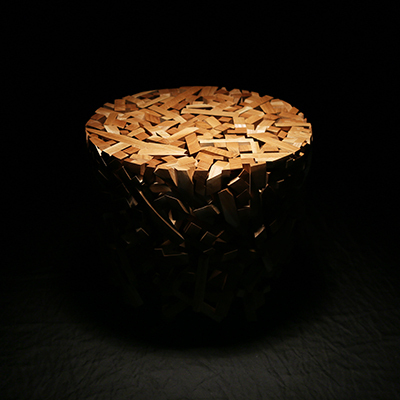 That leftover timber had me thinking about our wastefulness, and later inspired me to produce the crossed stick chair. 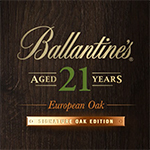 Before building this Ballantine’s collaboration, I searched for what made Ballantine's Whiskey so special and see how it could relate to my work. The first element I discovered was the material; I’ve used Oak for this piece because it's the main material of Ballantine’s barrel. The second element is the density of the distilled liquor; which I have applied a similar density on my wood art. The third element is the phenomena that happen during whisky aging, which is the angel’s share; it inspired the shape of this piece.